Money problems are leading factors leading to divorce. Always being worried about money, spending habits, and investment decisions can break a marriage. People with significant money and property can also be the unfortunate targets of people with a hidden agenda. It can be really easy to spend money that another person earned or inherited. At some point, people may conclude that their spouse is motivated more by money than love, respect, trust or mutual adoration. When it is time to terminate the marriage it is important to protect money and property for your future, and the benefit of your children and any other dependents. Are assets split 50/50 in divorce? Does the wife get half in divorce? Can you settle property before divorce? Listen to our podcast discussion: Community and Separate Property in Texas. Attorney Richard T. Sutherland is an experienced Texas divorce attorney in Wichita Falls, serving clients with complex money and property issues all over North and Northwest Texas. Contact the Law Office of Richard T. Sutherland at (940) 691-2100. Texas is a community property state. In a community property state, the property owned during the marriage is presumed to be the community property owned equally by the spouses and subject to division in a divorce. Separate property is any property that is not community property. For example, separate property can be property owned by one spouse before the marriage or property acquired during the marriage in one spouse’s name, not used for the benefit of the other spouse or the marriage, such as an inheritance. The discovery phase of a divorce case includes the process of exchanging information and document requests and demands to identify property owned by the spouses in the marriage. Both the husband and wife identify and disclose their knowledge of property they own or in which they have an ownership interest. 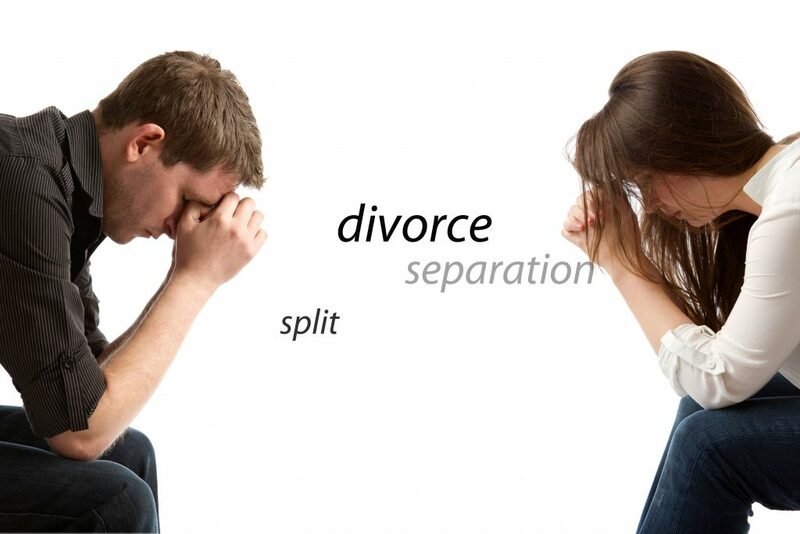 In a community property state like Texas, people assume that all property is split 50/50 in divorce. The court uses several factors in determining how community property is divided. The standard is a “just and right” division of assets and debts. Judges weigh all the facts and allegations in the divorce to determine what is “just and right.” How the Court may evaluate factors in property division can also be influenced by case law, involving similar facts and allegations in previously decided and published divorce cases. It is important to note that property subject division in divorce includes not only currently owned and identified property but also retirement accounts and employee benefit plans. Property identification and division can be challenging, especially where the details of ownership are complex, such as when one or both spouses have an ownership interest in family businesses and trusts. People contact attorney Richard T. Sutherland for complex money and property issues in a Texas divorce, as attorney Sutherland is also experienced in complex corporate and business law and litigation, which is relevant to complex property issues in high-net-worth divorce. Addressing debt in divorce can lead to conflict. Even though there may be significant assets in a marriage, there may be significant community debt, and for good reason. For example, if invested money earns more interest than the interest on debts, it makes better financial sense to assume reasonable debts. In addition, there can be tax incentives associated with certain debts that can be deducted at tax time. Community debts of a marriage can be divided by negotiation and agreement by the parties or the Court can order which spouse shall assume which debts. There are options when addressing debt. Community assets can be used to pay down or pay off community debts. For example, using money from investments to pay off a mortgage is one solution. Another is to continue paying the mortgage and the party living in the house assumes the payments. Maybe the other spouse is assuming the payments. An experienced attorney like Richard T. Sutherland creates a specific financial strategy in every divorce to work towards the financial goals of the client. And when one party suspects the other will fail to make payments on debts, as ordered by the court, another option may be a better idea. When considering divorce financial strategies, the future of parties after the divorce is a primary focus. A high-income earning spouse has different future money and property concerns compared to a non-working spouse. A divorce financial expert can help analyze a money and property settlement and forecast how assets can generate future income. When there are opportunities for your money to work for you and your future, it makes sense to implement the appropriate strategy in your divorce. This article offers information about the role of a CDFA (Certified Divorce Financial Analyst). People generally dislike uncertainty in life. Security is a psychological need and being in control of yourself and your future can provide the feeling of certainty and security. Divorce at any stage in life can give people a sense of security in an uncertain world. Being secure with money and property after divorce is important. Read, Life After Divorce, an article about the process of moving on after divorce. Attorneys all over North and Northwest Texas refer complex and challenging divorce cases involving money and property issues to Richard T. Sutherland in Wichita Falls, Texas when they need to recommend an attorney they know will execute the best strategy for the client’s financial goals. Contact him from the website or call the office at (940) 691-2100. Richard T. Sutherland represents people and families in Wichita County, Archer County, Baylor County, Clay County, Foard County, Hardeman County, Jack County, Montague County, Wise County, Young County and Wilbarger Counties in North Texas and has accepted cases in other areas West, North-Central and in South Texas. Before men and women are ready to file for divorce in Texas, they can learn about how a Texas divorce case works and what they might expect in their own case. People who move to Texas from other states should understand that Texas family law is different from other states. What you may have experienced in a divorce or family law case in another state may not prepare you for Texas law and procedure outlined in the Texas Family Code. Hire a good lawyer. Your divorce lawyer is there to represent your legal rights and help protect you and your family’s best interests. Divorce can be frustrating and downright nasty. People get upset. Divorce and child custody cases are a process and your lawyer’s job responsibility is representing you during the process. When results and your future are at stake, you need a strong and smart divorce lawyer who gets results. Listen to Richard T. Sutherland talk about how to go about finding a lawyer in this recent podcast, Help! I Need a Lawyer! Call Wichita Falls Family Law Attorney Richard T. Sutherland at (940) 691-2100 if you need help. Be ready to compromise or prepare for litigation. When people who once loved one another and married are no longer in love and on good terms, it can be difficult to remain calm and rational, especially when emotions are running high. Also, be prepared if your opposing party and their lawyer may challenge your patience at the very least. While divorce in Texas takes time, there will be a final day when the judgment is final, and you can move on. A Texas divorce case follows an ordered procedure that takes time and resources. It takes time to collect the necessary information to address issues involving children, parents, property, assets, and liabilities. Even if you and your husband or wife agree on everything, a final judgment of divorce is not allowed until at least 60 days have passed from the time the petition for divorce is filed with the court clerk in the proper county. Especially in a long marriage with children and assets, there are many potential issues to resolve in a Texas divorce. Depending on the level of conflict and ability to negotiate, a settlement can take a long time to reach, and a trial by judge or jury can take longer. While families in divorce and child custody cases may wish the process was quicker, it is important to address and resolve contested issues correctly the first time, to avoid return trips to court and modification and enforcement cases in the future. In Texas, married couples are married until their divorce judgment is granted. There is no such thing as a legal separation in Texas. Married husbands and wives can live apart and maintain separate residences, but they are still married and everything they acquire is still community property. It does not matter how an asset is titled during a marriage in Texas because it will still be community property owned by both spouses and subject to division in a manner the court deems just and right. Husbands and wives cannot force the other to stay married, nor need they prove wrongdoing and fault-based grounds to qualify for a divorce. Texas is a no-fault divorce state with no requirement that either party in the divorce is at fault. There is a requirement that the man or woman seeking a divorce states one or more grounds upon which the petition for divorce is based. The no-fault ground in Texas divorce is called insupportability. Other grounds for divorce include cruelty, adultery, conviction of a felony, abandonment, living apart, and confinement in a mental hospital. There are some things in life that should be left to the hands of experienced professionals, such as a divorce in Texas. Child custody, for example, involves a specific process and appointment of conservators with specific legal rights and duties as parents. Visitation likewise is a process involving periods of possession of and access to the child. Many general practicing attorneys refer cases to and hire experienced divorce attorneys to represent family law clients because the practice of divorce and family law is determined by very specific rules and orders in the Texas Family Code. People who try to do their own divorce often get things wrong and end up coming back to court and hiring divorce lawyers to fix the problems they caused by trying to do their own divorce in Texas. The best divorce lawyer you can find may end up saving you money in the long run when they know how to get results more efficiently than another who may drag their feet or get tossed around by the opposing attorney. When it comes to your family and future, it is important to divorce with a strategy and plan that works. The strategy can involve compromise and out-of-the-box thinking. The experienced family lawyer who has litigated the most difficult and complex cases is an asset when it matters to your family. Focused on parents, children and the best outcomes for the families he represents, Richard T. Sutherland has earned a strong reputation among lawyers, judges and members of communities in Wichita County and the neighboring Archer, Baylor, Clay, Foard, Hardeman, Jack, Montague, Wise, Young and Wilbarger Counties. When results matter to you and your family, call Richard T. Sutherland in Wichita Falls, for divorce in Texas, by calling his office at (940) 691-2100. When a parent with custody relocates to another state, needs to enforce child custody and visitation orders from another state, or needs a modification of parenting plans and visitation agreements from another state, that parent needs an interstate child custody and visitation lawyer like Richard T. Sutherland. Lawsuits and modifications involving interstate child custody and visitation are understandably emotional. Children are only young and grow up once, and the distance separating parents, children and families can be overwhelming. Every case is different and requires the best strategy for the family to accomplish their custody and visitation goals. Along the way the Court focuses on the best interest of the child. For an expanded look, please visit the page on our website dedicated to Interstate Family Law. Call Richard T. Sutherland at (940) 691-2100 for Interstate Child Custody and Visitation Issues. Licensed to practice law in the State of Texas, not Oklahoma, Richard T. Sutherland has represented many families with divorce and interstate child custody and visitation issues. Located in Wichita Falls, the Law Office of Richard T. Sutherland, is not far from Sheppard Air Force Base, where military members are stationed, coming from all over the United States. When families move to Texas from another state or are leaving Texas to move to Oklahoma, they may have interstate child custody and visitation issues requiring the legal advice and representation by an experienced Texas divorce and child custody lawyer. The UCCJEA (Uniform Child Custody Jurisdiction and Enforcement Act), UIFSA (Uniform Interstate Family Support Act), and PPKA (Prevention of Parental Kidnapping Act) are federal laws applied in child custody and visitation case with multi-state issues. These laws are about uniformity and cooperation among courts in different states. The Hague Convention is a federal treaty adopted by various countries, setting forth guidelines for cooperation among international courts and government agencies. What is the Uniform Child Custody Jurisdiction and Enforcement Act? Used only for original suit or modification or enforcement for custody and visitation and possession not for child support, the Uniform Child Custody Jurisdiction and Enforcement Act is about which court keeps original subject matter jurisdiction, thus having the authority to enter court orders affecting the family. If for example, a child is born in Oklahoma where the family resides, and the child has been in Oklahoma for six months preceding the filing of a case involving child custody, Oklahoma is the home state that keeps jurisdiction to hear the case and make modification and enforcement decisions. One purpose of the act is to prevent people taking or abducting a child to another state to file a custody case there, where the parent thinks they might have a better outcome. This practice is called forum shopping and it is prevented by the UCCJEA. So long as one of the parties remains in the home state, that court keeps original and ongoing jurisdiction in the custody case. If everyone leaves Oklahoma and is now in Texas, for example, the Oklahoma court may be petitioned to move the case to Texas. Do people ever ignore the UCCJEA? They sure do. Richard T. Sutherland has litigated many cases involving interstate child custody and UCCJEA issues and he is well-versed in the law, its application and exceptions. Read all about the UCCJEA on our website page dedicated to Interstate Family Law. What is the Uniform Interstate Family Support Act? The federal law used regarding interstate family law and child support is the Uniform Interstate Family Support Act. UIFSA applies to child support, medical support and child support arrearages when the custodial and non-custodial parents live in different states. Under this law, states can work together to establish and enforce child support orders across state lines. This prevents one parent leaving the state to avoid support obligations. What is the Prevention of Parental Kidnapping Act? The Prevention of Parental Kidnapping Act is a federal law used to enforce custody determinations by courts in other states. To prevent parents taking a child to another state with an intention not to return the child. A parent can seek relief from court, in the form of specific court orders to prevent the other parent from fleeing with children, preventing parental kidnapping. Richard T. Sutherland has focused his practice on divorce and family matters, helping Texas families with complex and challenging divorce and family law problems for many years. He is experienced in interstate child custody and visitation cases and is often hired on by other lawyers with clients who need an experienced Texas divorce and family lawyer to assist with one of the complex interstate child custody and visitation issues identified in this blog article. To schedule a consultation, call the Law Office of Richard T. Sutherland today by dialing (940) 691-2100. Richard T. Sutherland is licensed to practice law in Texas, not Oklahoma. In this podcast with attorney Richard Sutherland in Wichita Falls, Texas answers the questions most people ask about how to go about finding a lawyer. This blog article serves as a summary of key points. Anyone who needs a lawyer should listen to this podcast and learn the questions and answers about the process of finding a lawyer, meeting with them for a consultation and about elements of the attorney-client relationship. Common Questions and Issues in Finding and Hiring a Lawyer for Divorce, Child Custody, Child Support, and Modifications. If you needed to hire a lawyer, how would you go about it? Financial professionals such as CPAs are also good sources to finding lawyers. They might give you a referral to call a lawyer they know, like and trust. If the lawyer, you call works in a different area of law practice they can make a recommendation and give you the name and number for a lawyer who can help you. What if no one you know has hired a lawyer or they didn’t like the person they hired? One way to find a lawyer is to ask family and friends if they know any lawyers and find out what their thoughts were about the person they hired. Many people search the Internet and find an attorney in Google search results. If you are looking for a lawyer in a specific practice area you can search that way, for example, “divorce lawyer Wichita County” or more specifically for divorce, child support, child custody or adoption. You can also use some attorney specific sites such as Lawyers.com or Martindale Avvo where you can find attorneys who are rated by their peers. For example, an AV rated lawyer is deemed to have the highest legal ability and ethical qualifications. Simply search in the filed of law you need a lawyer and where. What if the attorney I found doesn’t have any recommendations by former clients or has been given poor recommendations, should I avoid that lawyer? Unfortunately, poor online reviews of lawyers may be a result of a disgruntled client who failed to achieve what may have been a completely unrealistic goal. Worse, it may be a review by the spouse of the lawyer’s client who didn’t like the result and blames his or her spouse’s lawyer for the outcome. Worse yet, the negative review may be placed by the other lawyer. Note that a lawyer cannot use their client’s name for a review without the client’s express permissions since the lawyer is ethically required to keep the client’s identity confidential. Are all initial consultations free? No, all initial consultations are not free and there are reasons why. A lawyer’s advice, as another famous attorney, Abraham Lincoln once observed, is their stock and trade. Giving their trade away for free makes no sense. Lawyer’s advice has value. In a consultation, when the client gives the lawyer confidential information, the lawyer is disqualified from representing anyone ese in their case. So, if the husband has a consultation, lawyer is disqualified from talking to the wife because of the attorney client privilege with the husband. Unfortunately, there is a common practice by some lawyers, encouraging clients to go and speak with other lawyers to disqualify them from being hired by the other party to the divorce. Some call this an “X out.” So, if husband hires a lawyer and is worried the other lawyers in town might represent wife, they might encourage husband to go talk to the competition law firms so they can’t represent his wife. Consultations have value. Some lawyers provide a minimum period of free advice such as 30 minutes or less for consultation and other lawyers agree they won’t charge a fee unless the person doesn’t hire them. If the lawyer is hired, the consultation will be charged since the lawyer obtained information necessary to represent the client. How do I know whether I am going to be charged? Ask the lawyer when you make the consultation appointment. I don’t think it’s fair for the lawyer to charge me when all I did was ask him questions. Lawyers provide legal advice, most often in the form of answers to questions. As you expect to pay a doctor for their advice, you should appreciate paying a lawyer for theirs as well. What should I expect when I meet a new lawyer? Prepare a list of questions. You should be comfortable talking to the lawyer about your questions and receiving their response and advice. The lawyer may describe the substance and procedure involved in their situation. If you do not understand, always ask for clarification. There are no guarantees about the outcome of any case, and you should beware of anyone who claims they can guarantee an outcome. Your lawyer should explain fee and billing practices, so you understand what to expect when you receive a bill for attorney’s fees and costs. A retainer is an amount of money determined by the lawyer as a deposit against costs and fees. There is no a standard retainer and every lawyer may determine their retainer agreement with a client. Filing fees, such as the $630.00 filing fee in Wichita County for a restraining order case, can be paid from the retainer. As the lawyer works on your case and tracks their time, they apply the hours they work against an hourly rate and bill your retainer. The retainer may need replenishment as the case continues. No lawyer or client knows how long a case will take or what it may cost since there are so many things that can happen. What is a non-refundable retainer? Non-refundable retainers are fees paid in advance to secure a lawyer’s services and compensate them for the loss of opportunity to accept other employment. Listen to this podcast and learn why the better rule for practice for family law attorneys is to avoid having non-refundable retainers, for reasons including ethics and professional conduct rules. I don’t really have a lot of money to hire an attorney, could he represent me on a contingent fee basis? No, contingent fees are not allowed in divorce and family law matters. It is prohibited. Richard T. Sutherland explains the unique conflict and conflict of interest between a lawyer and client if contingent fees were to be allowed in family law matters such as custody and adoption. Can my attorney refuse to release my file to me if I haven’t completely paid him? No, they cannot hold your file hostage for payment. Doing so may result in damage or prejudice to your rights, prohibited by Texas rules of conduct for lawyers. I want my mother, father, sister, brother, best friend or someone to come with me when I first consult with an attorney, is that permissible? Yes, it is common. First the attorney must explain the attorney-client privilege, that it belongs to the client, not the attorney. Richard T. Sutherland routinely explains attorney-client privilege issues and situations to clients who can make an informed decision whether to allow another to be present during their consultation and why they may be exposed to potential danger. Listen to him explain on the podcast. Are all conversations between an attorney and a client legally protected? No. If the client were to tell the lawyer that the client intends to engage in criminal behavior after leaving the lawyer’s office, the lawyer is required to report to law enforcement the client’s intent to commit a crime. There are other times a lawyer must report the abuse or neglect of a child or indecency with a child. Also, changes in testimony can result in the client withdrawing from the case in open court if the client has told the attorney about some act or event and when testifying in court and denying the act or event occurred. What if I want to change attorneys? How do I do that? Write your attorney a letter letting him or her know he or she is discharged immediately as your attorney. If you hired someone new, as the new attorney to prepare a motion to substitute counsel and an order of substitution and to send the motion and order to your former attorney for signature. Your former attorney should be given a reasonable amount of time to copy your file before returning original documents to you which must include his notes. Do I even need an Attorney? Can’t I just get some forms from the Internet and represent myself? You are not required to have an attorney in Texas. If your case is going to court, you should be familiar not only with the Texas Family Code but also with the Texas Rules of Civil Procedure and the Texas Rules of Evidence. There is not a separate set of rules and procedures for people who represent themselves and no one at the courthouse can give you legal advice. In this podcast, Richard T. Sutherland explains in detail the pitfalls of trying to do your own divorce using information and forms you find on the Internet. If you say “Help! I need a lawyer!”, call The Law Office of Richard T. Sutherland at (940) 691-2100. Located in Wichita Falls, Richard T. Sutherland is an experienced divorce and family lawyer for divorce, child custody, adoption and other marriage and divorce matters. Contact him from the website or call the office at (940) 691-2100. Richard T. Sutherland represents people and families in Wichita County, Archer County, Baylor County, Clay County, Foard County, Hardeman County, Jack County, Montague County, Wise County, Young County and Wilbarger Counties in North Texas and has accepted cases in other areas West, North-Central and in South Texas. What Do We Mean When Talking About High-Stakes Divorce in Wichita Falls, Texas? A high-stakes divorce, child custody or family law matter is one requiring experienced, aggressive and detailed legal counsel and representation. In Wichita Falls, families with high-conflict and high-net-worth concerns are best represented by a divorce and child custody lawyer who thinks outside the box and uses years of experience to their advantage. Maintaining privacy and dignity in divorce and custody cases is also important when sensitive issues become the focus of negotiation and litigation. The issues involved in a high-stakes divorce can be issues of money as well as custody and parenting. Every custody case is unique as is every family. While determining child support can be straight forward, making decisions in the best interest of the child is not always so easy. Especially when there are unique family circumstances and dynamics involved, high-conflict custody cases require a seasoned family law attorney with the experience to successfully strategize and navigate a challenging case. A well-experienced divorce and family law attorney, Richard T. Sutherland, is an asset in a serious custody case and high-stakes divorce in Wichita Falls, Texas. Use this link for podcast summaries for a variety of divorce and family law topics explained by Richard T. Sutherland in Wichita Falls, Texas. When you divorce in Texas the assets acquired during the marriage are community property to be divided based on what is just and equitable. There are many factors affecting property distribution and how property is characterized as community property or separate property which was owned or claimed by one spouse before the marriage or was acquired by gift, devise or descent. 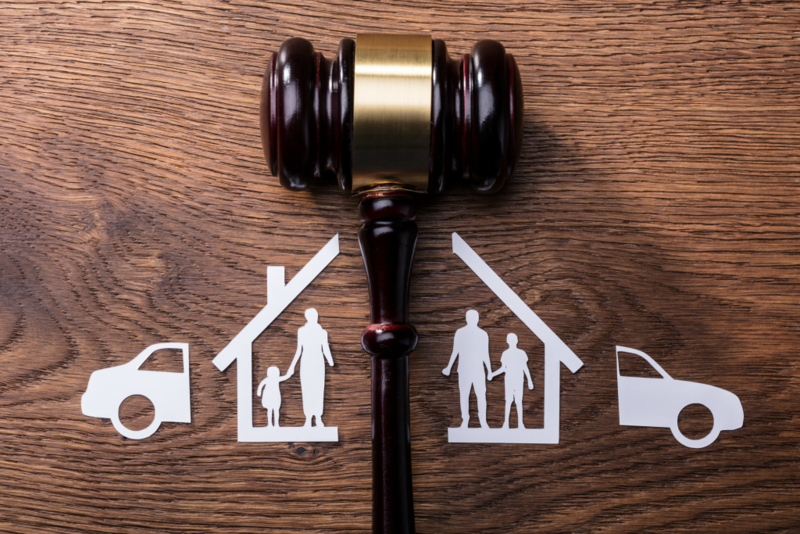 Meanwhile, separate property, not subject to division in a Texas divorce also includes a spouse’s recovery from a personal injury award, except for recovery for loss of earning. 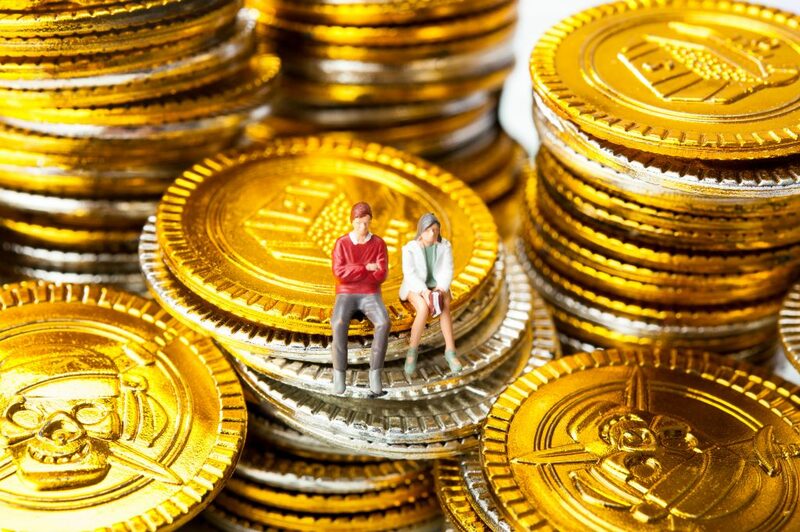 Determining what is separate property and what is community property can be complex and involve serious conflict and is certainly considered a high-Stakes divorce. Listen to our podcast, Community and Separate Property in Texas for additional details. Issues involving complicated income and assets also affect how income and net resources are determined for purposes of child support and for spousal maintenance if it applies. Many people have variable income, own business and have other unique income. It is important to use an experienced high-stakes divorce attorney who knows how to address unique income and assets. There are many family businesses in North and Northwest Texas where large families share ownership of shares in a business and have business assets and liabilities to consider when getting divorced. There can be premarital agreements, postnuptial agreements with duties and obligations affecting the party in a divorce or related family law action involving money. Consider the setting where your soon to be former spouse is a seated member of a board of trustees for the family business in which you and your spouse both own shares. Buying out your spouse and negotiating their exit from the board can challenging. The more complicated things are the more there is to win or lose. 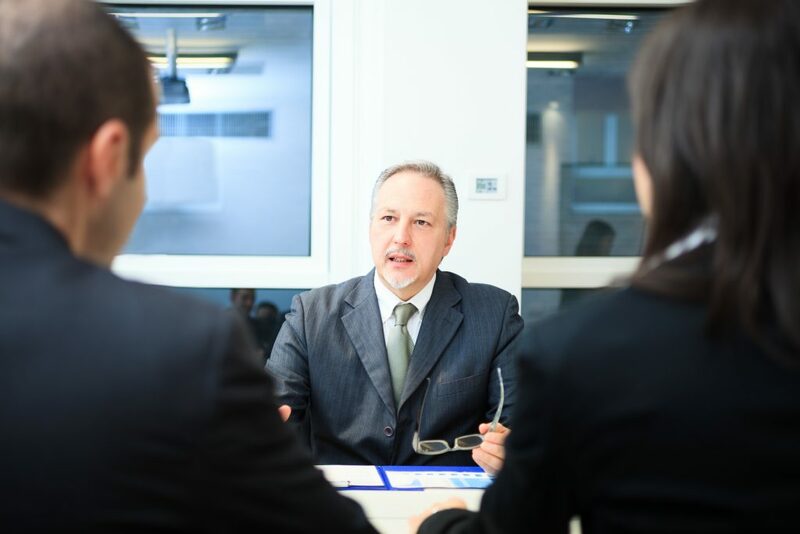 The experienced high-stakes family lawyer has seen a few challenges in their years of practice and has an important grasp on what it takes to make sure they have all the facts, use the best business professionals and anticipate tax strategies people may have, all to avoid negative consequences of important decisions. You may also enjoy this Forbes article, 5 Crucial Steps to Make Your Divorce Less Painful. Children only get one chance to grow up right and be ready for a successful transition to early adulthood and their best interests must always come first. Issues regarding children involve parents having rights and duties to make decisions for them, and determine where they reside, go to school and church and more. Medical and mental health issues can also be issues of conflict between parents who do not agree. When parents cannot or will not come to a unique settlement agreement on custody issues, these decisions will be made in Court. Judges prefer parties to come to their own agreements, and while one might not like the other parent’s offer, the judge or jury decisions could be less appealing. In Texas we call custody, conservatorship and visitation refers to periods of possession or access to the child. While many co-parents are appointed as joint managing conservators, cases involving family violence and child abuse affect conservatorship and can result in one parent being named sole managing conservator and the other a possessory conservator. These are high-stakes child custody issues. The determination of which person or parent has the right to exclusively determine the primary residence of a child is a contested issue that is the center of many custody trials before a judge and/or a jury. A trial on this issue alone can involve several witnesses, experts and evidence. When a couple decides to divorce, or the divorce become inevitable, they may start the process with the intention of being agreeable on several divorce and custody issues. As cases are ongoing during the process of exchanging discovery and participating in a temporary orders hearing, things can break down. When agreements break down and conflict grows, it is important to have the advice, counsel and representation of a divorce lawyer with strategy experience. When it gets to the point two people cannot agree on the color of the sky, they rely on their lawyer to help them through the process and help them know their bottom line. When there is so much to lose, getting it done right is important. When children are involved, their best interests must be the top priority in Wichita Falls family law. Call Richard T. Sutherland at (940) 691-2100 for your consultation for high-stakes divorce in Wichita Falls, Texas. Richard T. Sutherland represents people and families in Wichita County, Archer County, Baylor County, Clay County, Foard County, Hardeman County, Jack County, Montague County, Wise County, Young County and Wilbarger Counties in North Texas and has accepted cases in other areas West, North-Central and in South Texas. Families look forward to the holidays and couples in challenging marriages and co-parenting situations hope for the best. 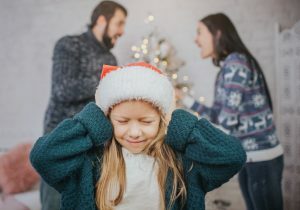 While being optimistic that the holidays will bring out the best in people, too often they are reminded why they are having conflict in their marriage or with the other parent of their children. Because Thanksgiving, Christmas and New Years are so important to children, many parents who know their marriage is on rocky ground, chose to put conflict aside. Many people who were thinking about a divorce, child custody modification or case for the enforcement of court orders are ready to move forward after the holidays and when the kids are back in school. For Divorce, Modifications and Enforcement Cases, Call Attorney Richard T. Sutherland in Wichita Falls, Texas at (940) 691-2100. Family violence, drug and alcohol abuse, child abuse and spousal abuse are serious matters. People who don’t leave dangerous marriages and relationships put themselves and their children at increased risk. The first move when getting out of harm can be a protective order. Your divorce lawyer can help you obtain a protective order on an emergency basis when warranted. If the other party, the respondent, violates the terms of the protective order, they can be arrested and jailed. Protective orders are serious business and should only be used when necessary to protect family members from the threat of or continued harm. When divorce is inevitable, and the marriage is broken, it is important to be well-prepared. It is important to hire a divorce lawyer focused on divorce and family law issues, an experienced trial attorney with the experience and strategy to produce results. Whether the matter is a new divorce, modification or enforcement suit, an experienced family law attorney will create a unique strategy in the best interests of the family and children involved. Richard T. Sutherland is a seasoned Wichita Falls divorce lawyer with a career of leadership among divorce and family lawyers in Texas. Our website offers a growing library of blog articles and podcasts. Listen to attorney Richard T. Sutherland and learn the elements of a variety of divorce, custody and family law topics in Texas. There are resources online including the content on this website to help people learn about divorce and what to expect. When someone knows they are ready to start the process and file, they must be ready to move forward. Hiring a divorce lawyer they can trust is important. Divorce attorneys like Richard T. Sutherland appreciate that divorces can be difficult and emotional. They are accustomed to seeing good people going through rough situations. It is important to be organized and give your divorce lawyer the information they need to create the best negotiation and litigation strategy to help you and your family. 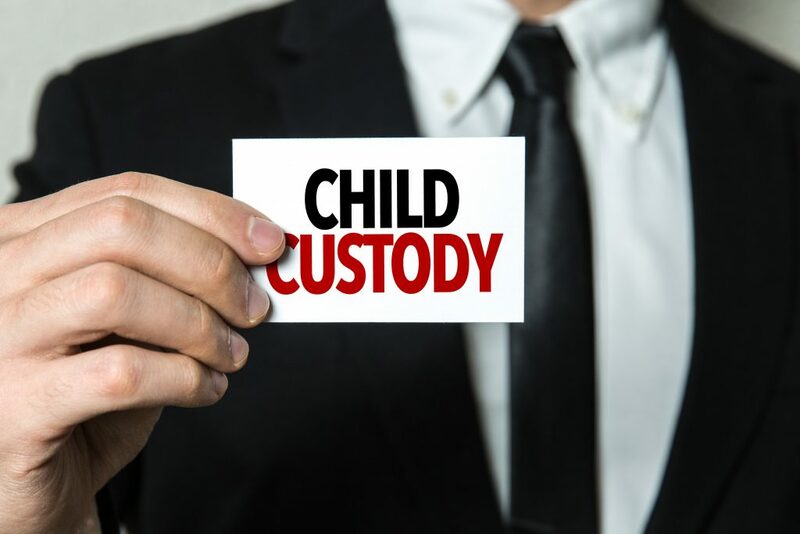 Custody modifications are original suits filed to change the terms and conditions of a court’s temporary or final orders regarding conservatorship and possession or access to a child. When modifications are filed within one year of the last order regarding conservatorship or possession or access, there are several factors that can be alleged to demonstrate that it is in the best interests of a child to make a modification to the custody orders. In cases including family violence and child abuse, the court may presume a material and substantial change in circumstances required to modify the rights and duties of persons or parents having conservatorship and possession or access to the child. For example, an order naming both parents as joint conservators can change to one parent being the sole conservator. The terms and conditions of possession and access can also be restructured. Exclusive rights to determine the residence of the child may also be modified based on grounds and factors for modifications including the above, as well as economic situations, such as a new job requiring a parent to relocate. As children grow older their needs change. As parents pursue new relationships, dynamics change. Sometimes what worked well for years becomes a conflict. When possession schedules become a problem and conflict increases it can become necessary to file an enforcement suit, seeking the court’s intervention in high conflict situations. The court can find people in contempt. They court can also order additional periods of possession or access to make up for an interference with possession or access. Failure to pay child support also leads to enforcement cases. When a child support obligor changes jobs, loses a job or has a change in employment generally, child support payments can be interrupted. Issues with child support payments and arrearages can be resolved out of court, or a new enforcement case can be filed with the court and served on the non-compliant child support obligor. In the new year and after the dust has settled, or at any time of year, things can change for people and their families and a divorce, modification or enforcement case is necessary. Richard T. Sutherland is a well-experienced divorce and family lawyer in Wichita Falls, Texas and he has a career’s worth of experience negotiating and litigating cases requiring everything from out of court agreements to significant trials before a judge or jury. He is licensed to practice law in Texas, not Oklahoma. For a consultation for divorce, custody modification or enforcement of possession or child support, contact us online or call the Law Office of Richard T. Sutherland in Wichita Falls, Texas at (940) 691-2100. In our recent Wichita Falls Family Law Podcast, Attorney Richard Sutherland explained the key elements and purpose of Child Protective Services (CPS) in Texas and what to do when CPS calls. Use this link to listen to: What to Do When Child Protective Services Calls. In this follow-up episode we learn what options CPS uses to remove the child from the home in an emergency with or without a court order. Attorney Sutherland also talks about the CPS adversary hearing, the service plan, the status hearing, permanency hearings and the final dismissal. CPS Taking the Child and Subsequent Hearings Require an Experienced Family Law Attorney. Call Richard Sutherland in Wichita Falls, Texas at (940) 691-2100. After CPS completes its investigation it may remove the child from the home if it is warranted. CPS can take possession of a child in an emergency with or without a court order based on the child’s health and safety. CPS can also seek an emergency order from the court authorizing possession of the child if there is an immediate danger to the health of safety of the child. In certain circumstances CPS taking the child without a court order is allowed in an emergency, which Attorney Sutherland explains. Learn about the CPS child removal and hearing sequence in this podcast. The first step is an initial hearing following CPS taking the child in an emergency without a court order. There are limits on the reasons CPS can take a child into its possession including issues involving: homeschooling; economic disadvantage; parent charged with nonviolent misdemeanor (with two exceptions); parent charged with family violence; parent declined to have the child immunized; parent provided low THC cannabis to child to whom low THC cannabis was prescribed. You may also be interested in our podcast, Children Adjusting to School. Another popular recent post is, Why Do People Divorce After the Holidays? For a list of several popular podcasts please see, Divorce and Family Law Explained by Richard Sutherland in Wichita Falls, Texas. Unless the child has already been to returned to the parent or person entitled to possession and the temporary order is dissolved, then a full adversary hearing must be held no later than the 14th day the child is taken into possession. Under some circumstances the deadline could be extended. Where these the acts or failure to act of a person entitled to possession and would leaving the child in the home be contrary to the child’s welfare? Did the urgent need for protection require the immediate removal of the child? Were reasonable efforts made consistent with the circumstances and providing for the safety of the child, to eliminate or prevent the child’s removal? The court issues a temporary order to prevent continuing danger to the child with reasonable efforts to provide for the child’s safety, including taking the child from the custodial parent, non-custodial parent or relative, unless it is not in the child’s best interests. The temporary orders date applies to next steps. CPS is appointed as a temporary managing conservator of the child. CPS prepares a service plan for the parents within 45 days of the temporary orders. The service plan explains what the parents must do to get their child back. The service plan can be amended at any time. A status hearing comes next,within 60 days after the temporary orders, so the child’s status and service plan may be reviewed. Not later than 180 days there is a permanency hearing,subsequent permanency hearing no later than 120 days following. The CPS suit dismissal occurs the first Monday after the first anniversary of the date the court renders the temporary order unless the court has commenced a trial on the merits. The purpose and idea behind the CPS process for taking the child, is to reunite the child with the custodial parent except where that would not be in the child’s best interest. The procedure and system of hearings and steps along the way is complicated and an experienced family law attorney should be retained to assist in a custodial parent being reunited with their child after CPS removal. Richard T. Sutherland is an experienced Wichita Falls, Texas divorce and family law and child custody attorney. In a situation where CPS taking a child into custody is your concern, call us at (940) 691-2100 or contact us through our website. Why Do People Divorce After the Holidays? Need to finally file for divorce after the holidays end up being the last straw? Call the Law Office of Richard T. Sutherland in Wichita Falls at (940) 691-2100. There are several reasons divorce increases after holidays such as Thanksgiving and Christmas. In many instances people trying to keep things together can end up falling apart over the holidays and realizing their life is short and they need to make a change. But why now, during what should be the happiest time of the year? Holidays are especially important to children. Thanksgiving and Christmas are a time to see grandparents, aunts, uncles and cousins. When parents divorce and kids may not see their extended family in the same setting. For many parents this is a reason to stay together for one more holiday season, depending on the situation and age of the children. Divorce after the holidays gives children time to accept that things are going to change. While their extended family may still be there, things will be different. A divorce right before the holidays might be difficult for children. When the divorce comes after the holidays there is much more time for kids to adapt to change. Life gets busy and the problems in marriages can easily be ignored. Couples in conflict know they have issues to work through. Arguments get postponed and remain unresolved. People grow apart. There is always hope, however that a Thanksgiving or Christmas miracle will spark the love and pave the way for healing. When the miracle doesn’t come, and the conflict is reinforced by negative statements or behavior, people may realize that the marriage really is over. People are good at pretending things are okay and conflict will be resolved, but others may be able to see past the image of happiness. When the miracle saving the marriage doesn’t happen many consider accepting their feelings and seeking a divorce after the holidays. Questions about the process? Please review this page of podcast summaries and links to all the important topics in Texas divorce, custody and family law in general: Divorce and Family Law Explained by Richard Sutherland in Wichita Falls, Texas. Is it time to admit reality? The flaws that are already there seem more apparent over holidays. During Thanksgiving and Christmas, we spend more time with people. Increased interaction with a spouse with whom you have unresolved conflict is challenging. The things that bother you are inescapable. Have you ever been on a long car ride with someone you just wanted to be away from? When couples realize they no longer love each other or even like one another, it may be time to call it quits. At times people simply grow apart. At other times people change. Things the other may do that are irritating can become so obnoxious that it drives you crazy. You start realizing you can no longer stand the former love of your life. That is when you know it may be time to file for a divorce after the holidays. For more thoughts on post-holiday divorce, see the article on the Today Show website: Is divorce more common during the holidays? Do unhappy people want to spend another year in a bad marriage? A better question may be whether people spend another year trying to fix something beyond repair. As New Year’s approaches, we all look back. What did we do this year to make it great? Was it not so great? How many more years do we spend being unhappy or unfulfilled? New Year’s resolutions for many include divorce and taking back one’s life and independence. Especially when people have wonderful children they love, they believe their marriage was not a waste. That said, a choice for happiness and personal journey may overcome the desire to remain together as a married couple. Read our blog article, January Divorce Filings in Wichita Falls, for more thoughts on point. Around the holidays people seem tend to be more emotional and may talk to family and friends about marriage issues they might otherwise keep to themselves. And when the wine may flow, and emotions pour, some people may be telling someone else about their troubles in a way they can finally admit it to themselves. It is painful admitting problems in marriage, when the holidays do not go as planned, or are not what they were in years past. Coming to accept conflict means you have an option to address problems and fix things. Accepting the reality of the situation might also trigger an avalanche of emotion leading to the decision to call a divorce lawyer and file for divorce after the holidays. People also divorce after the holidays for additional reasons including substance abuse, family violence, cheating, financial problems and everything else that can go wrong in a marriage and family. A post-holiday divorce might also be something that has been coming for a long time. Depending on the age of children and circumstances in the family, there could be challenges with child custody, spousal maintenance and issues over property and who will live in the marital residence. Richard T. Sutherland is a Wichita Falls area divorce lawyer with decades of experience in high conflict divorce and custody issues. Whether you expect your divorce to be messy or you no longer know what to expect from your spouse, it is important to hire a divorce lawyer with the experience to anticipate the unexpected. Contact Mr. Sutherland via the website or call the Law Office of Richard T. Sutherland in Wichita Falls today at (940) 691-2100. Enforcing Child Support in Texas. Need help? Call Attorney Richard T. Sutherland in Wichita Falls by dialing (940) 691-2100. When parents divorce and have children, the court will determine and order monthly child support. Child support is also ordered when the parties are not married but paternity is established. Child support is usually set by state statute based on the net resource income of the parent ordered to pay support. The customary practice once child support is determined is to prepare a child support withholding order which is sent to the employer of the child support payer so that the child support money is withheld for distribution to the parent receiving the child support on behalf of the child. Please listen to our Wichita Falls Family Law Podcast episode: Child Support Calculations in Texas. 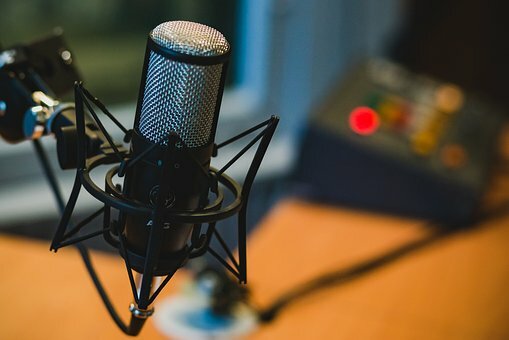 Attorney Richard T. Sutherland continues building a library of podcast interview content to help parents understand Texas divorce and family law issues including child support. Enforcing a child support order is necessary when the parent responsible for paying, stops making payments. There could be several reasons child support is not being paid. The child support payor might have lost their job or there was a change in employment that caused the withholding process to fail. Why Would a Parent Stop Paying Child Support? There are many reasons a parent would stop paying child support. They may think they are above the law. They might believe that the other parent has enough money and does not need support. They might also believe that their personal needs are more important than complying with the court’s order to pay child support. 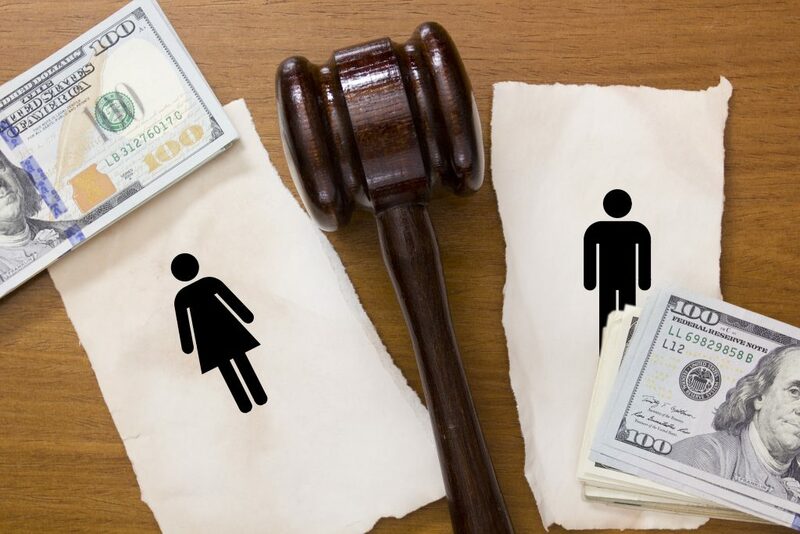 In high-net-worth divorces the income of the party ordered to pay might exceed the maximum guideline amount of child support to be ordered. To learn more, read our article about High-Net-Worth Divorce. The parent with significant resources who may not need regular employment cannot simply refuse to work and use their voluntary unemployment as an excuse not to pay their child support obligation. When a parent responsible for paying child support loses their job there is no paycheck from which to deduct child support payments. Too often there are people who either elect not to get a new job, or they hide where they are working from the other parent and their attorney who may be trying to enforce the child support order. There are also situations where a parent responsible for paying child support is working for cash that is not reported or withheld from pay. Refusing to work is not a justifiable excuse to not pay child support. Where the parent can work and is not otherwise physically or mentally impaired, they must seek work to pay support. The court ordering the payment of child support retains jurisdiction to summon the non-paying parent to answer as to why they should not be held in contempt of court. There could be a simple reason that support was not being paid, such as an issue with the wage withholding order. 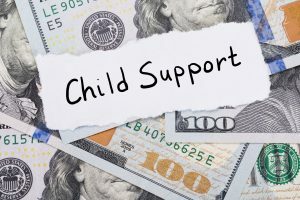 Another way to enforce a child support order is to rely on the State of Texas Attorney General to enforce the support order through it’s Child Support Division (CSD). The CSD uses state resources to collect child support. The state has a long list of options it can use to collect unpaid support, including working with other states is the parent ordered to pay has moved outside of Texas. A contempt proceeding can be initiated, seeking to find the child support obligor in contempt of court for failure to pay child support as ordered. Any other failures to comply with court orders can be including in the contempt proceeding. The party failing to pay child support can be summoned to appear in court and address the judge, explaining why they are not in compliance with the child support order and why they are not making payments. Judges have discretion in penalizing a parent for failure to pay support and for refusal to comply with the court’s order. Place the party in contempt on community supervision and require them to comply with all the terms of a community supervision order. There are additional remedies to recover unpaid child support including placing liens on personal property and real estate and foreclosing on the lien. The parent seeking unpaid support can also obtain a money judgment and wage withholding order to be sent to an employer. In Texas, child support amounts more than 3 months past due can trigger a driver license suspension by the State of Texas. Professional licenses may also be suspended, as well as fishing and hunting licenses when child support is not paid. Richard T. Sutherland is an experienced divorce and family law attorney in Wichita Falls, Texas with over 40 years of experience. Mr. Sutherland negotiates and litigates divorce, custody and child support matters. Call the Law Office of Richard T. Sutherland if you need help enforcing child support in Texas. Contact the firm online or call (940) 691-2100 to schedule a consultation and learn your rights and options. Domestic violence is behavior pattern through which the abuser keeps power and control over their partner in an intimate relationship, regardless of whether the individuals are married. Domestic violence affects people regardless of their race, religion, age, gender or sexual orientation. People right here in Wichita Falls, from all walks of life can be victims of domestic violence, regardless of financial status and access to a Wichita Falls domestic violence lawyer for help. Physical abuse can include hurting another directly by pulling hair, hitting, biting, choking, slapping, kicking or using weapons to cause harm. Not all physical abuse leaves scars. There are plenty of abuse cases where victims are held captive, abandoned in strange places or are forced to participate in harmful situations including forced use of drugs or alcohol. Why Do People Abuse Others? To maintain power and control, domestic violence abusers hurt their intimate partners. Abusers are often internally insecure and lack feelings of self-worth and control in their lives. Some people say that abusers likely have been victims of abuse at some point in their lives. Some also say that abuse is learned through society and culture. There is never an excuse to abuse another or commit acts of domestic violence towards your intimate partner. Regardless of the source of or reason people commit abuse, it is never acceptable. Protective Orders are available for victims of domestic violence when those victims decide to leave and get help. A protective order, based on a sworn statement and evidence by the applicant, can be ordered by the court to order the abuser to stay away from the victim, with a list of restrictions. Violating a protective order may earn the abuser a one-way trip to jail. In cases where the abuser and victim are married, a protective order is part of the initial proceedings in a divorce. Be prepared when you seek a protective order because an already angry and agitated abuser can seek revenge including serious bodily harm and death. To be as prepared as possible, talk to your attorney, counselor, clergy member or any other who may be helping you plan to leave an abuser safely, with much attention paid to protecting you and your location and travels. Richard T. Sutherland is a divorce and family law attorney in Wichita Falls, Texas, representing men and women with legal issues involving allegations of domestic abuse and family violence. If you are in immediate danger, call 911. If you need a Wichita Falls domestic violence lawyer, call the Law Office of Richard T. Sutherland in at (940) 691-2100.